Disruptive technology is transforming Africa’s economic potential, creating new focus markets and unparalleled consumer choice. There has been an explosion in the quantity and variety of data available in Africa, produced either as a by-product of digital services, or from sensors, drones, satellites etc. Forward-thinking organisations are approaching disruptive transformations more strategically to gain competitive advantage. Exploiting these opportunities requires a complete reconsideration of how communication can be done in a digital form that can be processed by a computer. The output then has to enhance the relationships the organisation has with its customers, which then fosters brand loyalty and brand awareness across all areas of the business. Data is without doubt the hard currency of the digital economy. According to the Deloitte Tech Trend Report it was all about data supremacy in 2018 and it is the currency that will count in the future. So what were the top 3 Data Tech Trends of 2018 according to this report? Falling under the banner of Artificial Intelligence (AI) and part of Data Science, Machine Learning has been on trend in 2018 because every business has recognized that Data is a key asset to their business. Machine Learning provides systems the ability to automatically learn and improved without being programmed. Machine learning focuses on the development of the computer that can access data and use it to learn it for themselves. It uses statistical techniques to create algorithms for solving data problems, understand patterns in data and predicting what might happen. Linked to Machine Learning, Data Science then seeks to exploit advances in Machine Learning and statistics to make sense of the growing amounts of data available from different sources. In Africa this is going to benefit hugely in diverse areas such as healthcare & diagnostics, agriculture, disaster response and even wildlife conservation. Most likely you have heard of Blockchain by now but perhaps you haven’t paid too much attention to it, considering it just another buzzword or piece of tech jargon. In fact, Blockchain is a breakthrough technology that is expected to alter most industries across Africa. Blockchain is an incorruptible digital ledger of economic transactions that can be programmed to record not just financial transactions but virtually anything of value. Blockchain provides an alternative trust mode and removes the need for central authorities in arbitrating transactions. Africa has many problems that blockchain could potentially solve with a few key principles which are intrinsic to blockchain, such as transparency and decentralization. It has the potential to impact elections, international remittances, renewable energy services and alternatives to banking such as micro financing for the unbanked. 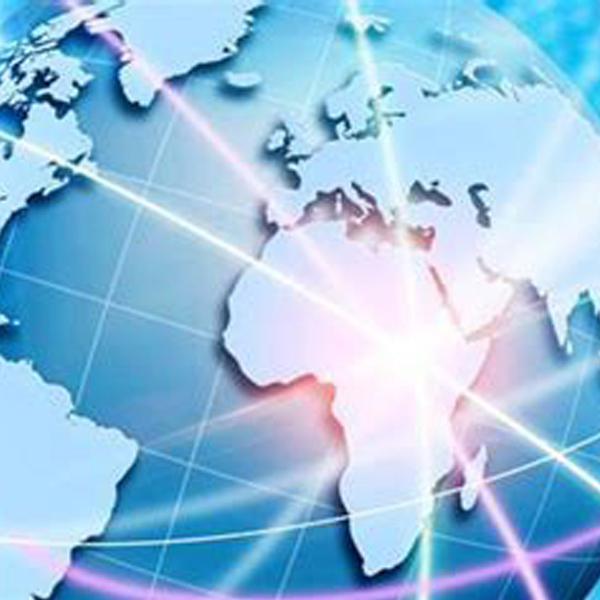 Given that Africa is starting from a relatively blank piece of paper when it comes to Blockchain, there is great belief that the true worth of this revolutionary technology will only start to be seen across the African continent in 2019. 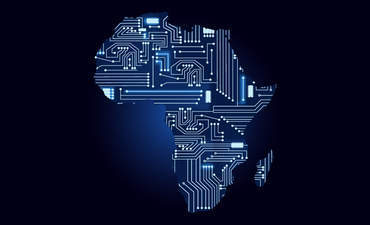 Blockchain offers an opportunity for Africa to build its own technological infrastructure that could see it leapfrog those in many developed countries. Finally, in the era of Big Data where industry sectors are caught in a vortex of ‘information overload’, there is a need for businesses to rise to the challenge and become digital, Africa is truly embracing platform-based business models. Software as a Service (SaaS) is a software distribution model whereby a third-party provider hosts application and makes them available over the internet and SaaS is one of three categories of cloud computing. Common examples of SaaS amongst many others are OneDrive for document sharing, Docusign for electronic document signing and contract sharing, Dropbox for document and file sharing. The potential benefits to Africa are enormous as it removes the need for business to install and run their applications on their computers or in data centers. This obviously eliminates the expense of hardware acquisition, provisioning and maintenance as well as software support licensing and installation. Service are generally paid for monthly using a pay as you go model rather than investing in the total cost of the software. So where does Africa go from here? Trends under each of these three themes are a key ingredient in driving the continuous innovation process for Africa. Do you think like Gartner “that it is about the entwining of people, devices, content and services and combining multiple trends, merging them together to drive innovation”? What are the practical obstacles to digitalisation across Africa are and how will these influence trends? What needs to be done in 2019 to capitalize on the opportunities? Which countries are embracing the opportunities and investing in overcoming obstacles? Who do you think are the most technologically advanced countries? What do you think should be the initial focus be to ensure that other countries catch up with the rest of the developed world on technology? Who are and will be the Technology Leaders of the continent? Given the shortage of digital talent on the continent where will these leaders come from? What are the key leadership qualities needed to enhance a company’s technology offering? What do you think will limit the progress and advancement of AI technologies in Africa in 2019?